A friend of mine has suggested that it would be a help to put together a beginners guide to carp fishing terminology. 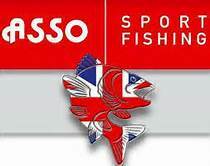 As a help to newcomers to the sport and I will also be doing beginner’s guide to other parts of carp fishing e.g. rigs, marker setups, Spod etc. I hope this will help all you budding carp anglers when you pick up a magazine to understand what you are being told. Chod – Is the term used to describe the stuff on the bottom of the lake bed (decaying leaf matter) hence the rig was born from this to counteract this problem. Wraps – The number of times you wrap the line around your marker sticks, to determine the distance you a fishing our from the bank. Fizzing – This is when you get a huge patch of tiny bubbles coming up over a large area. This is where the fishing is digging on the bottom and creating a fizzing on the surface of the lake. Bubbles – This is when you get bubbles popping up to the surface and then moving off, as the fish is feeding on the bottom. Particles – The terminology used for cooked beans, peas, pulses, seed etc. Loaded up – you have loaded up the line on your reels, you also load up the rod, when casting. This is the point where your rods are at the best point to cast out.